Okay, whether on the internet, magazines, or the TV, by now you’ve probably heard it countless times that sugar is bad for your health. Even so, it may be impossible to go clean on sugar right away, knowing how much one can get addicted to it. Luckily, nowadays, there is a way to do so without ridding yourself of the divine sweet taste thanks to sugar substitutes. If you want to make the healthy choice, and rest assured you’d get something sweet that only adds to your well-being, you can’t go wrong by replacing sugar with stevia. Unlike other sweeteners, this one is derived from the stevia plant, and there are many ways to make it part of your diet: in the form of stevia leaf powder extract, tablets, sachets, or even in liquid form. To make sure you get the highest quality, do your research, reading through ingredients. When you come across 100% pure stevia, with no blended ingredients, you can reap its benefits, without the bitter aftertaste. The pure stevia products, like stevia leaf powder, tablets, and sachets are based on stevia’s Reb A (rebaudioside A) glycoside, the compound making these products 450 times sweeter than sugar, yet still calorie-free. Not surprisingly, taking its health benefits into account, stevia can help you with your breath, keeping it fresh, fight off bacteria responsible for plaque and tooth decay, and even come to the rescue for people dealing with diabetes, as it stabilises blood sugar. To add to its perks, it also lowers cholesterol, and inhibits inflammation, so all things considered, it’s worthy to opt for it instead of the bad and addictive refined sugar. Once you substitute the white stuff with stevia, you can be sure you can eat your sweets without worrying about side-effects, and extra kilos added to your waist. As there is a variety of products, there are many ways you can introduce stevia into your lifestyle, starting from your morning coffee, or tea, to preserving fruits, preparing mouthwatering cakes, pies, puddings, cookies, ice cream, candy, and fudge. When it comes to cooking with stevia, it’s important to note it doesn’t caramelise, so it’s you’re preparing creme brulée, you can’t get the expected outcome if not for the small addition of sugar too. Make your search for quality, natural stevia products, stack up, and start looking for fun and tasty recipes to try out. 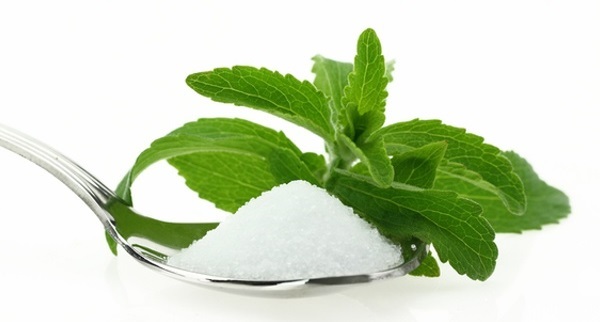 Stevia makes sugar detox sound so appealing, wouldn’t you agree?